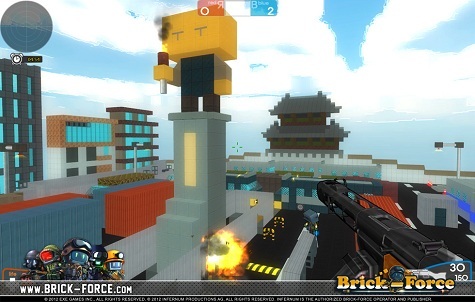 If you love Minecraft or like how it encourages players to get creative in the building aspect, you’ll surely like this new game called Brick-Force. Published by Infernum Productions based in Berlin, Germany, this game is a first-person shooter type that lets you create the world and maps you’ve always dreamed of. And the best part is it’s free to play in your web browser. It can be played on either the PC or Mac. Brick-Force features a map editor. It allows players to construct simple and more advanced maps using the voxels. These voxels are the big square bricks also used in Minecraft. To design the landscape, players can use regular blocks and bricks made of fire and ice as well as turrets and detonation targets. The first update of this game was done in 2012 during which certain features such as zero gravity were added.